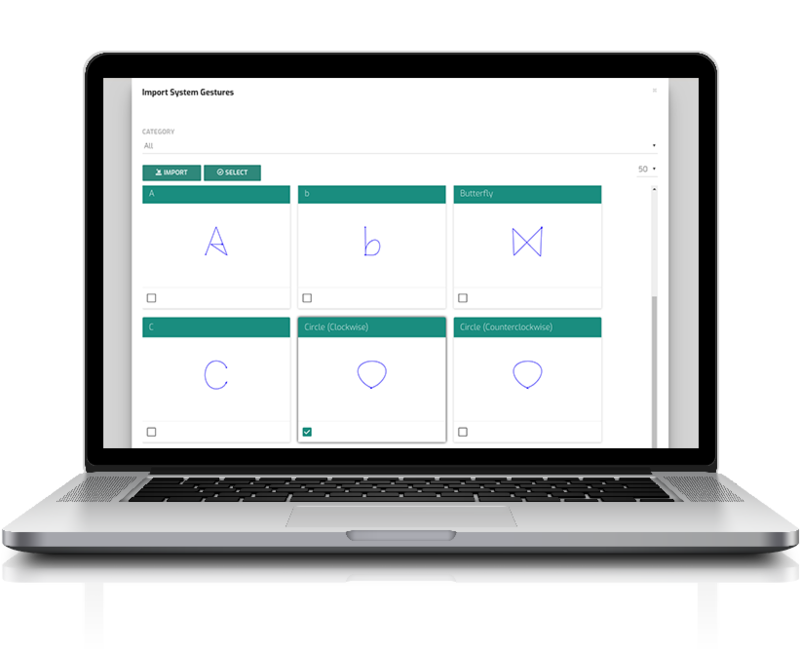 You can import a variety of pre-built gestures from the system library into your project. See User Guide for details. 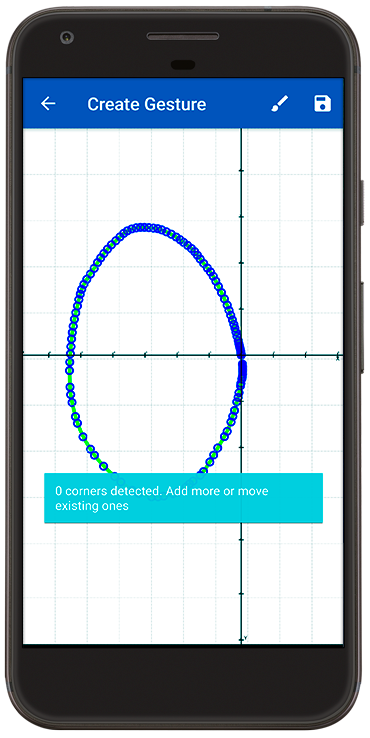 You can create a gesture by drawing its motion trajectory on your mobile phone screen. See User Guide for details. You can edit a gesture to modify its motion trajectory using a script-based editor. See User Guide for details. 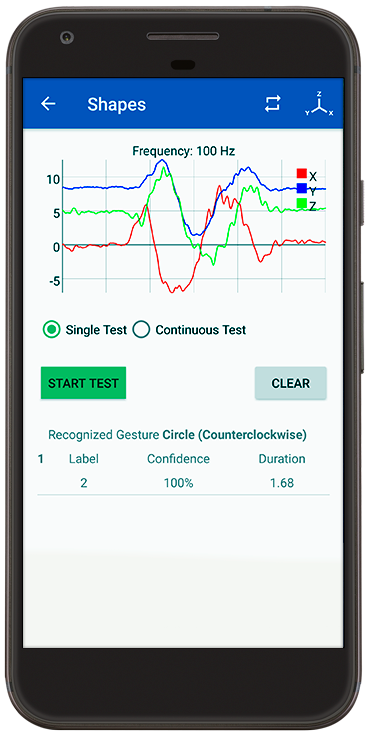 You can test a gesture on your smart phone and see comprehensive results. See User Guide for details. You can deploy gestures on cloud, gateway/hub, and embedded platforms. See API Guide for details. 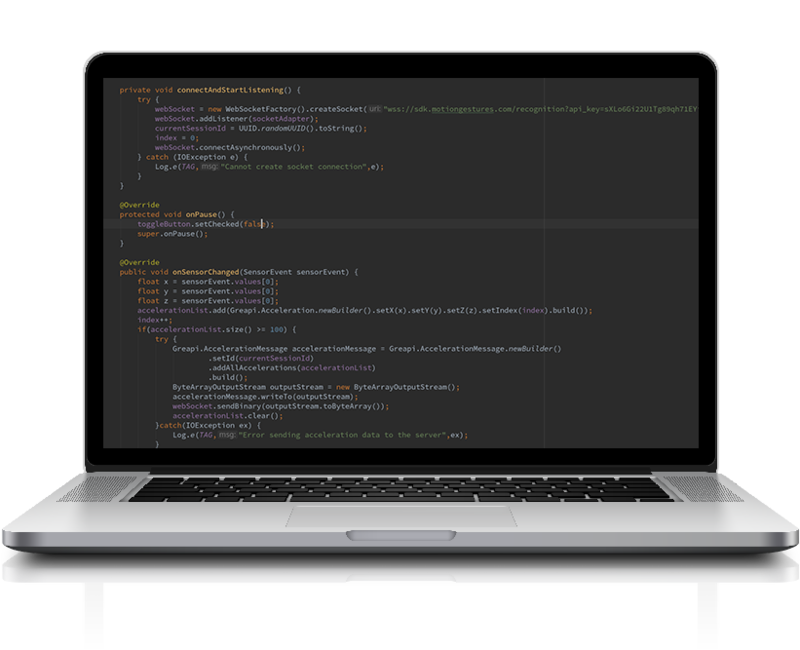 We provide several documents to help you learn about the gesture recognition engine.